AS1668 Air Handling System Design - The PPW Group - Consulting Engineers, Project Managers & Equipment Suppliers to the Ventilation Industry. AS1668 Air Handling Systems Designs is the Air Handling Systems Consulting Engineering trading division of the Group. The Air Pollution Control Systems and Air Handling Systems Engineering Office was originally the Engineering Office for Dustech Engineering, which was the Design and Construct Mechanical Contracting trading division of the Group. The Group has been designing AS1668 Air Handling Systems, which are known in the industry as Dust and Fume Control Systems, in Australia, for more than forty (40) years. Wayne Palmer is the Engineering Manager of the AS1668 Air Handling Systems Designs trading division of the Group. Wayne is an academically qualified CN941 Professional Engineer who is one of only a few CN941 Engineers who holds the Codes and Regulations academic recognition aspect of his Engineering qualification. Wayne has held the position of Engineering Manager of the Group for over forty (40) years. During this period the focus has been on the design engineering of Air Pollution Control Systems and Air Handling Systems. Wayne is a member of the AS1668.2 ME062 Sub Committee, which greatly assists with networking with the who’s who in the field of AS1668 Air Handling Systems Engineering. Wayne is also an Associate Member of the Australasian Institute of Dangerous Goods Consultants and a Member of AIRAH. The Insurance Council of Australia is a member of the AS1668 Committee. Summarised below is a brief list of some questions that should be clarified with your Insurer, if you have a requirement for an Air Handling System. Q1) My system Designer is not Competent Person recognised ? Q2) My system does not have Building Development Approval ? Q3) My system does not have Form 15 Design Certification ? Q4) My system does not have Form 16 Installation Certification ? Q5) My system was not supervised/installed by a Part 44 or Part 45 relevant licensed Supervisor/Installer ? Q6) My system requires an Alternative Building Solution Approval and this has not been obtained ? Q7) My system is not being maintained by an Appropriately Qualified Person ? Preliminary Planning Documentation – Development Application Stage. Preliminary Design Documentation – Budget Development Stage. Final Design Documentation – Tender Assessment Stage. Is the development an Environmentally Relevant Activity ? Is the land suitable for the Activity ? Is the Existing Development suitable for the activity, if the system is to service an existing building ? Is an Application for a Material Change of Use required ? Is an Application for an Environmentally Relevant Activity required ? Is an Application for an Environmentally Relevant Activity licensed operator required ? Are there tenancy conditions relative to the Air Handling System ? Note ! This should be clarified prior to the establishment of a tenancy agreement! Is an Application for a Premises License required ? Is an Application for an Operators License required ? Has a Private Building Certifier been established for the work ? 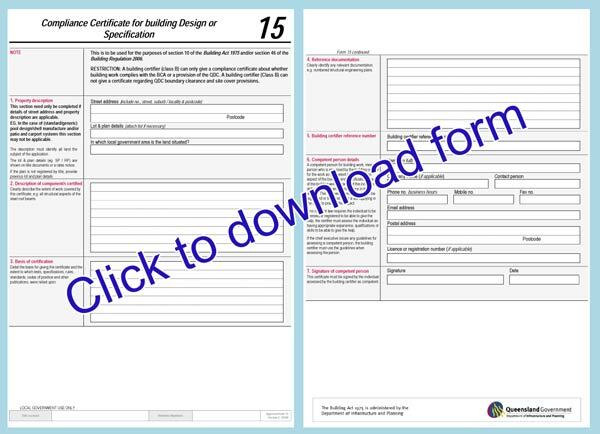 Has the System Design Engineer been Competent Person recognised by the Private Building Certifier ? Who will be responsible for the preparation and submission of the Building Development Application ? Who will be responsible for the preparation of the drawings and documentation that are to accompany the Building Development Application ? Who will be responsible for managing the above considerations to a timely outcome ? Who will be responsible for managing the Building Development Application to a timely Decision Notice outcome ? AS1668 Air Handling Systems Designs can design a service to manage all of the above, and more, if required. Who will be responsible for site assessment to establish the required information from the site in accordance with the Building Development Application approval Decision Notice Conditions ? Who will be responsible for the preparation of the Preliminary Design Documentation ? Who will be responsible for the itemised take off from the Preliminary Design Documentation for costing purposes ? Who will be responsible for the initial costing for the Budget ? Who will be responsible for revising the costing, if required, in order to meet budget constraints ? Who will be responsible for the Final Design Documentation ? Will the Final Design Documentation be put out for Tender or will a Project Manager be appointed to Project Manage the Development within the Approved Budget Allowance ? If the Development is to be put out for Tender then who will manage the Tender process ? If a Project Manager is to be appointed to Project Manage the Development within the Approved Budget Allowance then who will handle the appointment of the Project Manager? AS1668 Air Handling Systems Designs can design a service to manage all of the above, and more, if required, and would be privileged if Dustech Engineering were appointed as the Project Manager for the Development. We interpret this as being recognition of the Groups ability to manage the Design Documentation stage of the Development.